Palisade Investment Partners has now taken control of Sunshine Coast Airport Pty Ltd under a 99-year lease with Sunshine Coast Council. The long-term lease sees Palisade become responsible for operating, investing in, and developing the airport, as well as overseeing future expansion of both domestic and international routes available to and from the Sunshine Coast. 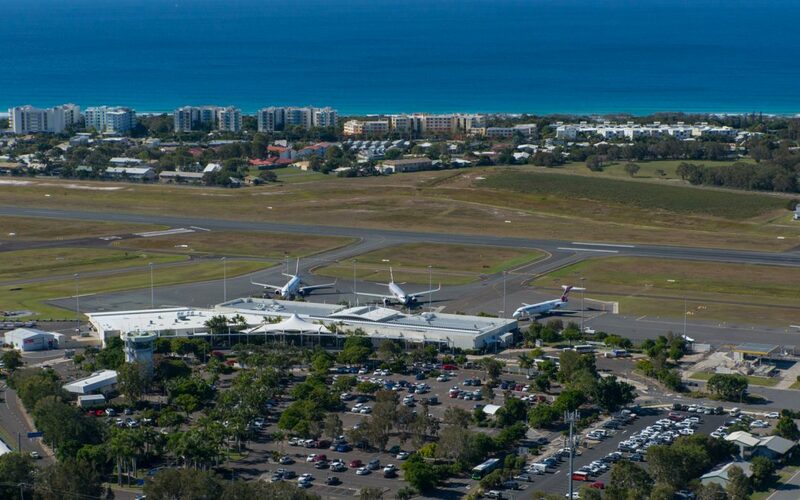 Confirming their long-term commitment to the region, Palisade Investment Director and Sunshine Coast Airport Pty Ltd board member, Mike Reynolds, said the airport was a key asset for the specialist Australian infrastructure manager. “Sunshine Coast Airport has been the fastest growing airport in the country for more than two consecutive years, and it sits at the centre of one of Australia’s most dynamic regions. “Palisade’s investment in the Sunshine Coast recognises the substantial growth and development opportunities for the airport and the region. “We are very excited about this investment and look forward to forging a long-term partnership with Sunshine Coast Council to further enhance the value of Sunshine Coast Airport,” Mr Reynolds said. Under the lease agreement, Council will maintain responsibility for facilitating the airport expansion project, including construction of a new 2,450m runway, apron expansion and related infrastructure development. Due for completion in 2020, Palisade will then assume control of the newly constructed runway and associated infrastructure. Palisade will be responsible for all future development projects, including terminal upgrades, during the term of the lease. The overall expansion of Sunshine Coast Airport will reduce operational constraints, facilitate new route opportunities, increase passenger growth and facilitate economic development of the region by providing capacity to accommodate larger, more fuel-efficient aircraft and enabling more direct flights. Sunshine Coast Mayor Mark Jamieson welcomed the partnership with Palisade, which would benefit Sunshine Coast residents and ratepayers. He said the airport expansion and new runway would be a game-changer for the Sunshine Coast. “It will open Sunshine Coast up to Asia and the South Pacific enabling us to connect to the world,” Mayor Jamieson said. “The Sunshine Coast Airport expansion will contribute $4.1 billion to the local economy and generate more than 2230 jobs during the operational phase. “The new connections will also benefit our agribusiness sector, providing global export opportunities, particularly in China. Mr Reynolds also announced the appointment of Peter Pallot as Chief Executive Officer of the airport. “Peter has been General Manager at Sunshine Coast Airport for more than 10 years and we are delighted he will continue at the helm as we build the business for 2020 and beyond.